A compact, easy to use digital/analog reverb with a pure analog direct signal path. 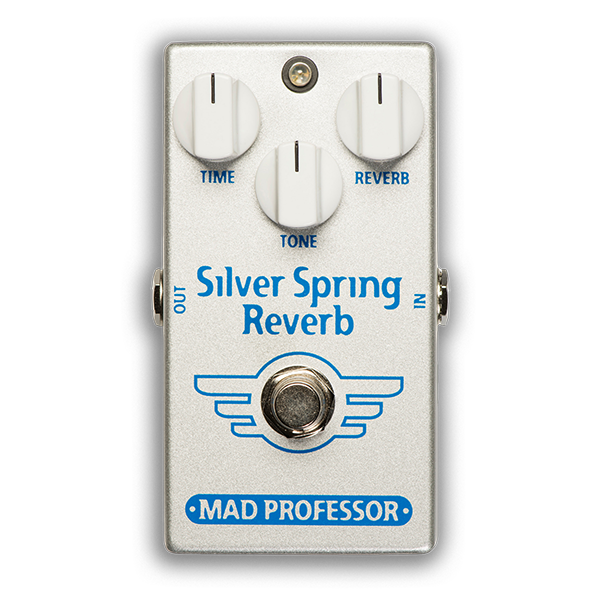 The Reverb signal path is filtered to produce the Silver Spring Reverb’s natural ambiance. The SSR’s sound is exceptional with a clean signal but was specifically designed to work equally well with the tougher performance requirements of distorted tone. The SSR can be used before distortion, although it was primarily designed to go after. If you use the SSR before distortion, you may want to use a lower Reverb (Wet/Dry) setting.